Born in Yemen, in Thamar province in July 3, 1987. 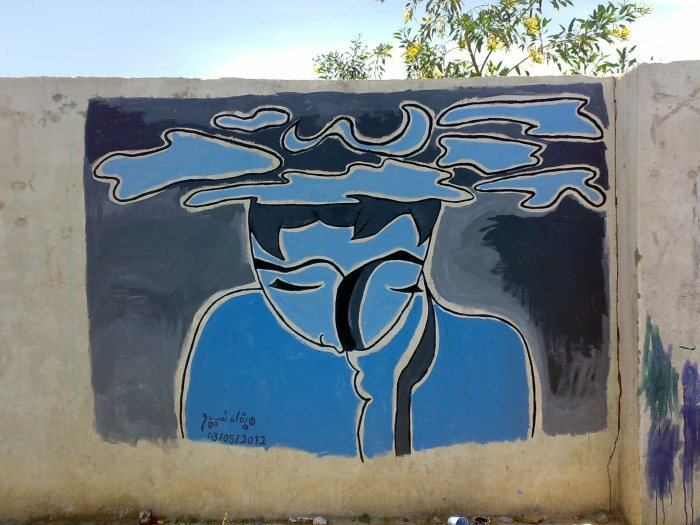 He graduated from Sana’a University in 2012 with a degree in English Literature.He started drawing in 2001. 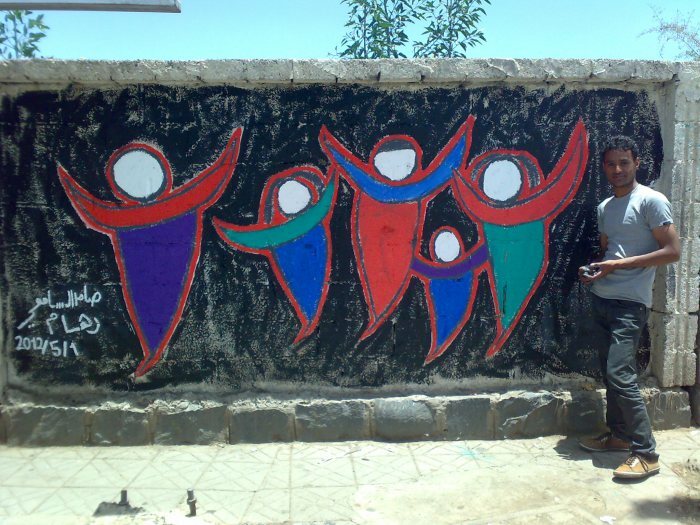 His first artistic campaign “Color the walls of your street” was launched right after 2012’s conflicts in Sana’a. The campaign aimed to erase the war’s remnants in the areas that were most affected by it. This campaign lasted for about three months. The second campaign was ” The Walls Remembers Their Faces”. This campaign was launched as a reminder of the forcibly disappeared politicians and people. It lasted for about 7 months and its activity reached the provinces Sana’a, Ibb, Taiz and Hudidah. The Third and most recent campaign was “12 Hours”. Its main aim was to discuss 12 major issues in the Yemeni society. It lasted for a whole year.The third campaign was classified as one of the five works that had a strong impact on politics around the world. 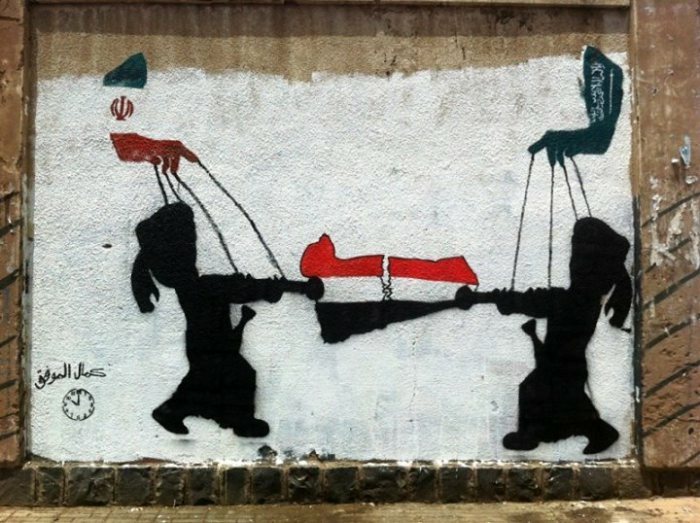 In January 2011, demonstrations inspired by the contentious mobilizations taking place in Tunisia and Egypt started to be carried out in Yemen. Gradually, anti-governmental demonstrators came to modify old repertoires of contention, such as the demonstration or the sit-in, into what became a permanent camp and a new space of contention in Sana’a named “Change Square.” Among the self-proclaimed “revolutionary youth” of a sit-in that lasted until April 2013 were a number of visual artists. Their presence in the Square contributed in giving political demands an artistic expression, alongside using artistic practices as a means of contention. Contributing to the symbolic aspects of this mobilization, artistic practices developed inside and outside the tents. As a continuation of street politics acquired in the Square, certain visual artists incorporated dissent, transgression, and civil disobedience in their artistic practices. 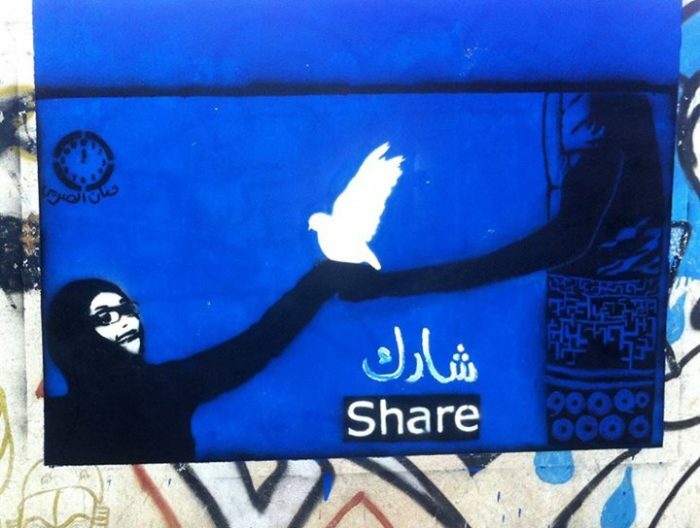 Among such cases, street art techniques such as graffiti, free writing, mural painting or stenciling participated throughout 2011 in reproducing political slogans that aimed to overthrow Ali Abd Allah Saleh’s regime. In 2012 this contentious street art underwent certain changes. 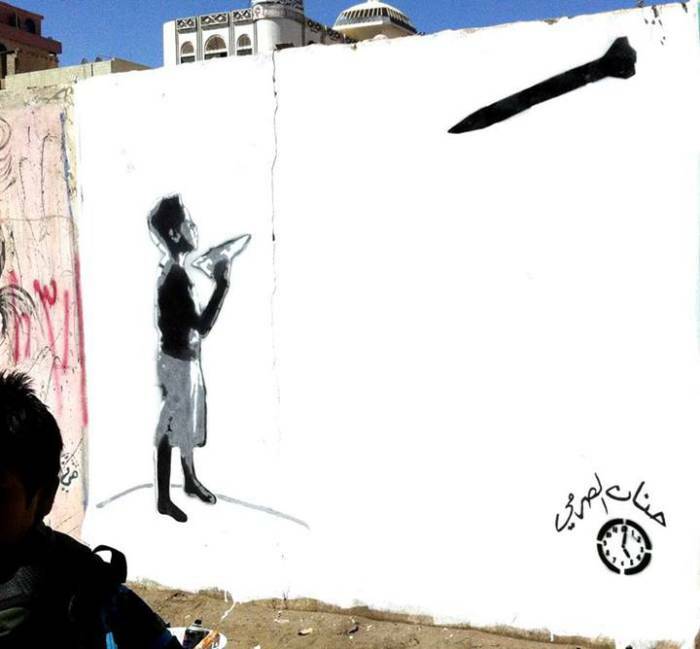 Such is the case of the painter Murad Subay who carried out the largest project of street art ever undertaken in Yemen and probably in the region. 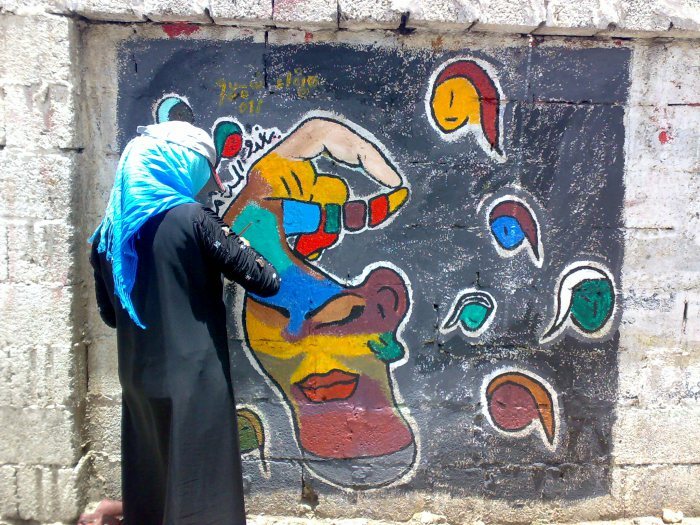 Sending a call through Facebook, he started a project that aimed to “color the walls” of bullet-marked spaces where violent confrontations took place between pacifist demonstrators and forces loyal to the regime. Encouraged by large public participation and media coverage, he undertook two other street art projects where a contentious discourse became more evident. Through photographs wheat-pasted and stenciling, he came to use the walls to express solidarity and dissent and to claim political demands. 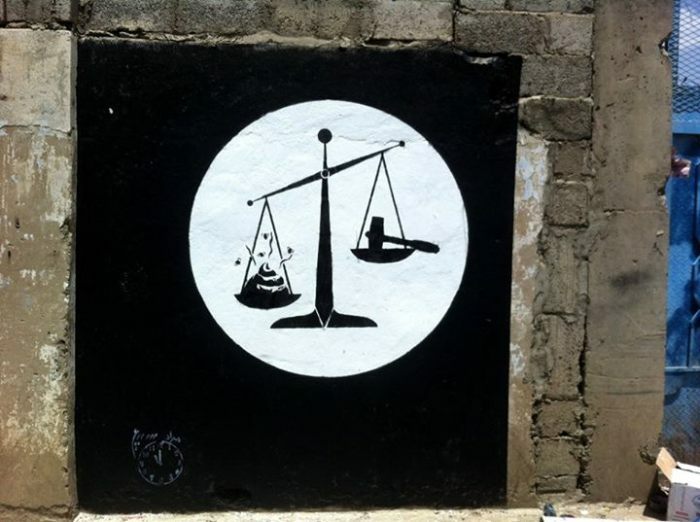 This case serves to explore the implications of direct, political participation as well as civil disobedience learnt under the tents and expressed through an artistic practice that uses both walls and streets as canvases and exhibition spaces. 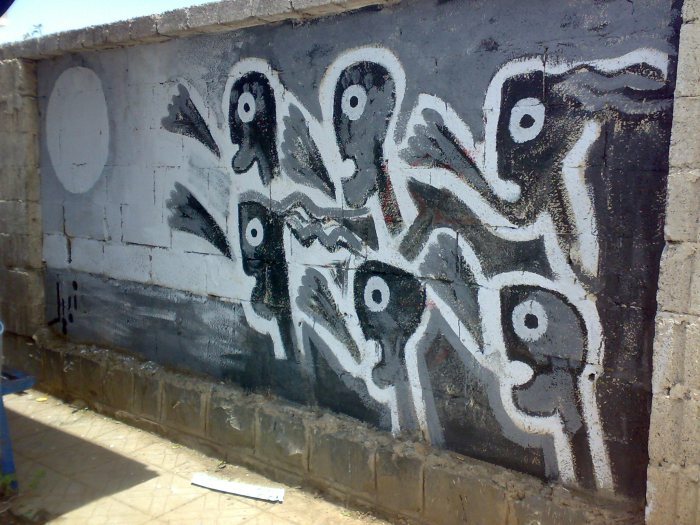 Several techniques nowadays considered central to the practice of street art have been used over the years in Yemeni cities, aiming at reproducing political and religious messages. 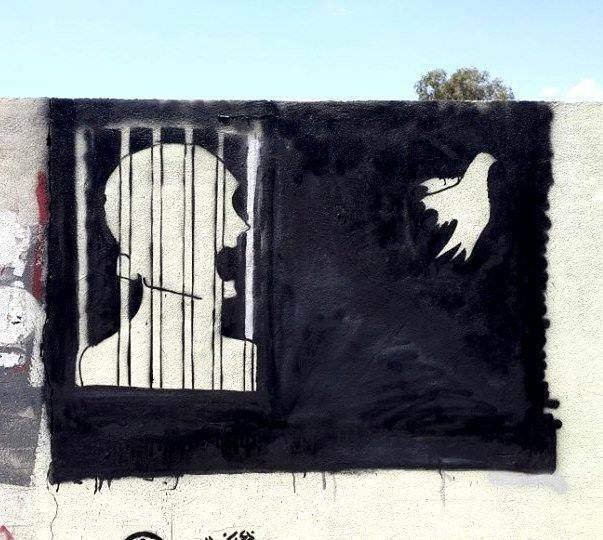 In 2012 changes occurred in the street art scene as the country also entered a new phase following the Gulf agreement that established the terms of a negotiated transition where Saleh obtained immunity and the “revolutionary youth” was excluded. In terms of street art, new experiences emerged. 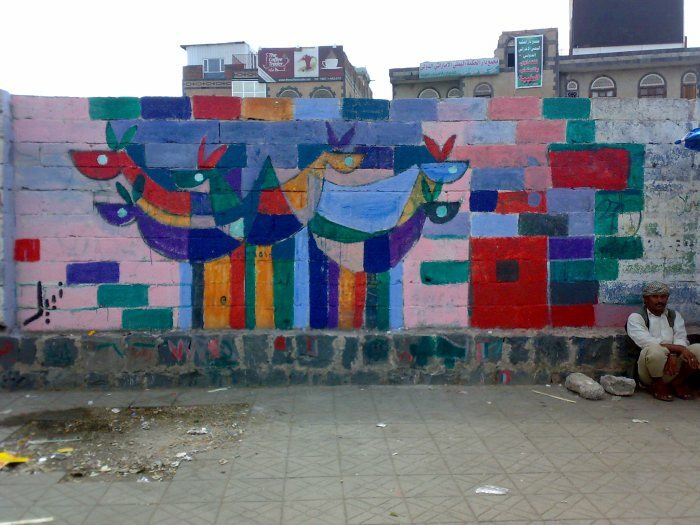 The city’s aesthetic and not only the surroundings of Change Square were drastically changed when kilometers of walls were covered by paintings. Most importantly, public space was again being used to express dissent and make social critiques, this time through painting in a collective manner. The practice of street art was thus being transformed, singularly triggered by campaigns launched by a painter in his twenties, Murad Subay. 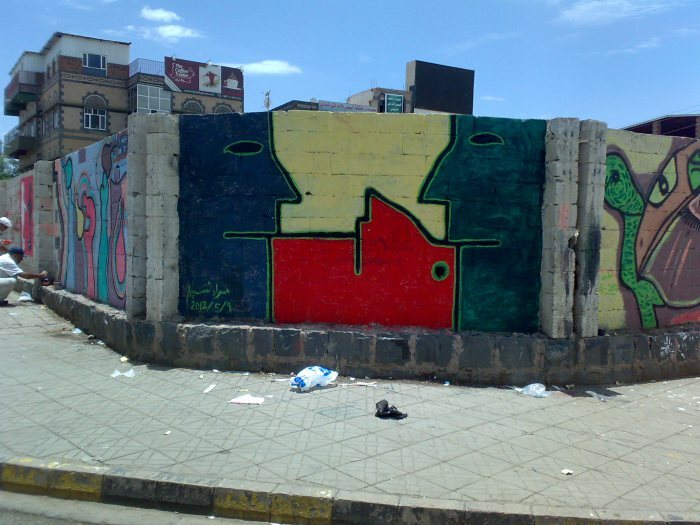 Being among the youth that initiated the sit-in in Sana’a, he started this project by reproducing some of his own canvases on the city’s walls. This initiative rapidly grew into a collective action where people took over the streets, combining artistic knowledge with amateur will of expression. 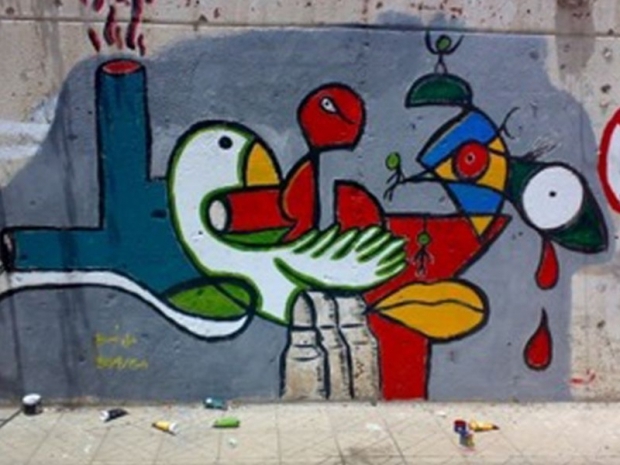 The final result were walls covered by abstract images and also by messages of social and political critique like unemployment, resistance, violence, freedom, poverty, and nationalistic discourses. Murad Subay undertook two other projects. One was done through pasting photographs that his brother Jameel Subay had taken and had exhibited years before in order to display sociopolitical critiques through photography. 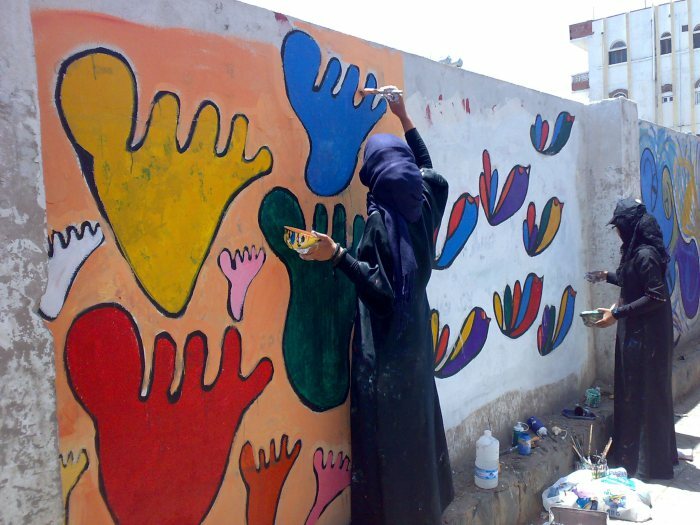 Murad Subay used them to express solidarity with a part of Yemeni society largely marginalized, the akhdam (literally servants), with victims of a bomb attack, and to react towards social indifference. But it is through his stencil campaign that collective action and an open political critique became at once major elements of his mode of expression. 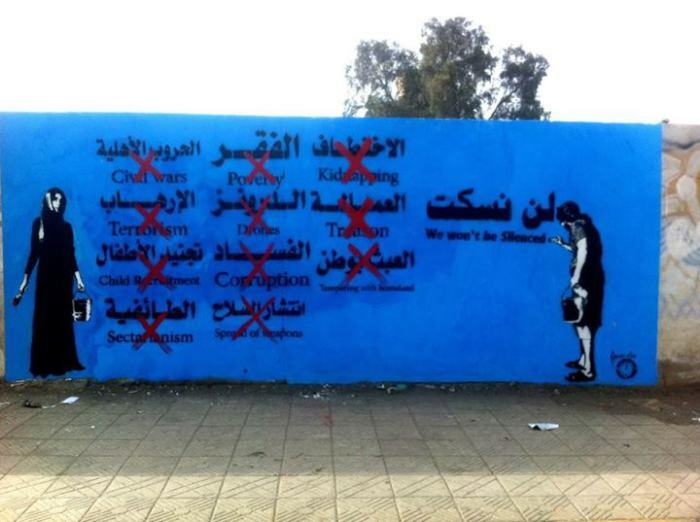 Named “the walls remember their faces”, Subay started this campaign by spraying stencils that reproduced the faces of “disappeared” people under Saleh’s regime. 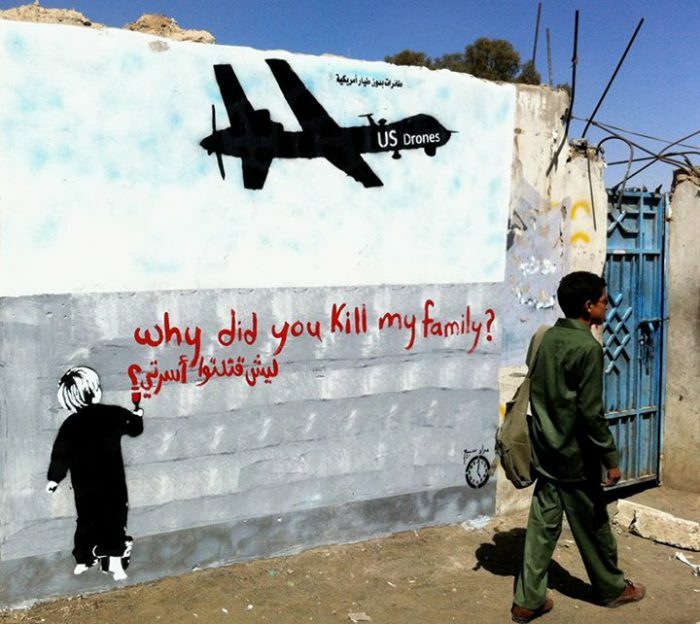 He then posted a call on Facebook and his project took off with a large public participation in stenciling images of missing people, in providing information about them, and through painting over when images were erased. This project thus became one of recovering collective memory, making political claims against a government that has neglected the enforced disappearance of people, and contributing to lobby this subject at the level of street and institutional politics. 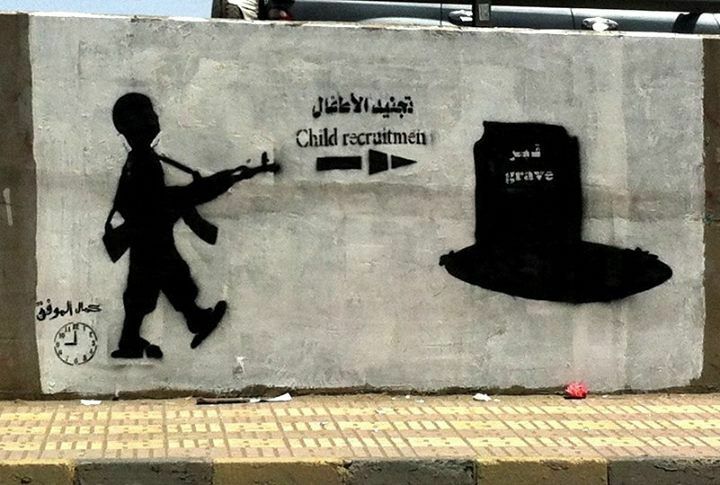 Two processes are at play through these street art campaigns, one of “artification” and one of collective action. 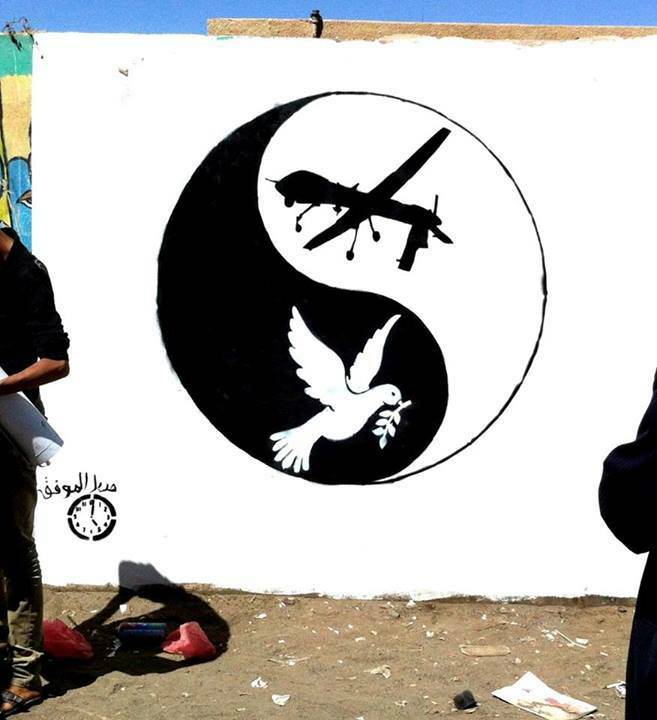 At the same time that the recognition of the practice as street art and as art is in progress, its incidence as a contentious action making collective claims and demands is also happening. In terms of the process of “artification”, the definition and status of practitioners, objects and activity are undergoing important changes . The dynamics at work during 2012 allow to observe a process through which a marginal practice started to become an artistic one, publicized by the media and becoming visible locally and internationally. Related to the second process of collective action, the campaign Murad Subay launched also proved to produce effects at different levels, like the creation of a special committee to investigate and file cases of enforced disappearance, a transitional justice law to be passed , and the attention of the Human Rights Minister to promote debate. Although this issue was raised several years ago, in 2007, it has been the stencil campaign that brought a larger attention mainly by participating to the recovering of collective memory and contributing to finding alive some of the disappeared . Although it remains to be seen the limits and the scope of such interventions on the streets and such practices embedded in grassroots activism, this case contributes to interrogate the myriad ways in which people participate collectively to change their societies and their politics through creative learnings rooted in street politics. 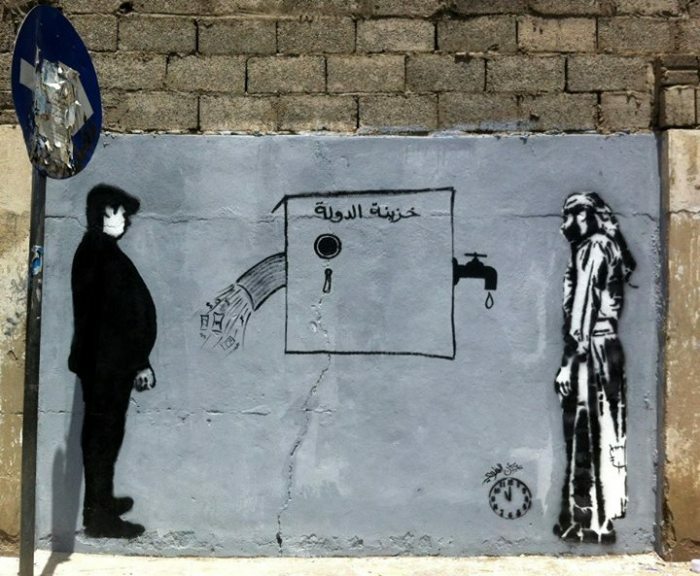 Posted in All PostsTagged graffiti, murad subay, Revolution art now, street art, The Aesthetics of Resistance, yemen. campaignsBookmark the permalink.